My sister wants a pet so badly, considering she cant take a good care of her goldfishes, it is not possible to buy a kitty which she loves the most. 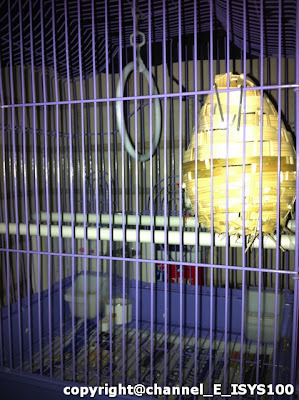 So my dad decides to buy a birdy for her. I dont know how my sister finds out the information about Zebra finch.Zebra finches are fun and easy to have in your home. They are a pleasure to view and their soft chirping is soothing. Whether you want only one pair to keep you company or you want to be a breeder with many birds, Zebras are a joy. 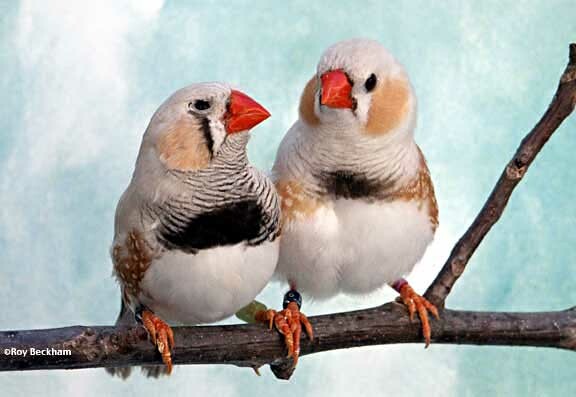 Zebra Finches originate from Australia. Zebras live in open grasslands with some bushes and trees. They live in dry areas over most of Australia. They live in groups and eat mostly grass seeds. They build their nests in bushes out of grass, straw, feathers and anything else they can find. 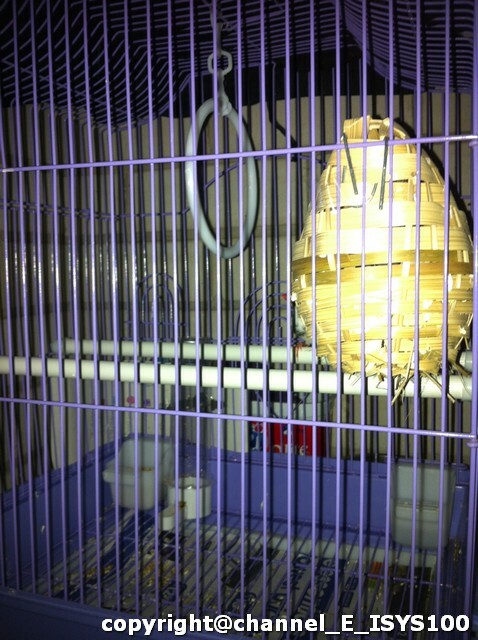 They lay 3-6 eggs and both parents participate in raising the young. The currently accepted taxonomic nomenclature for the Zebra is "Taeniopygia guttata castanotis". 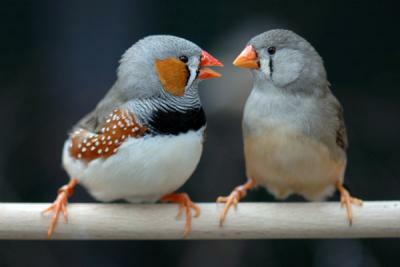 Zebra finches live to be 4-8 years of age. I have heard of birds living to 10 and 12 years old, but I think this is rare. Males: The normal male bird has a gray upper body and wings. The belly is white. The beak and legs are a red-orange color. On each side of the head is a cheek patch. There is a 'tear drop' mark under the eye. This is a brown/tan/fawn color commonly called orange. The flanks/sides of the bird just below the wings, is a chestnut (orange) colored area with white dots. The chest is black and white stripped like a zebra, hence the name zebra finch. A truly beautiful bird! Females: The female also has a gray upper body and wings with a white belly. The beak and legs are the same red-orange color but not as deep color, lighter. She has a black 'tear drop' mark under the eye. The most noticable differences between males and females are the cheek patches and the chest striping. The white Zebra finch is rare as the normally Zebra finch is generally gray. 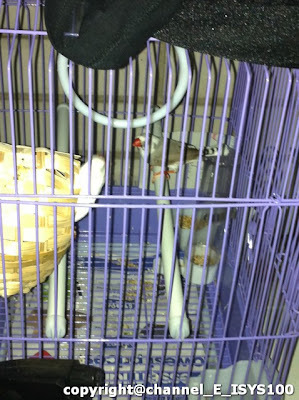 My sister bought 2 Zebra finch. One male named Anthony and one female named ChiChi. 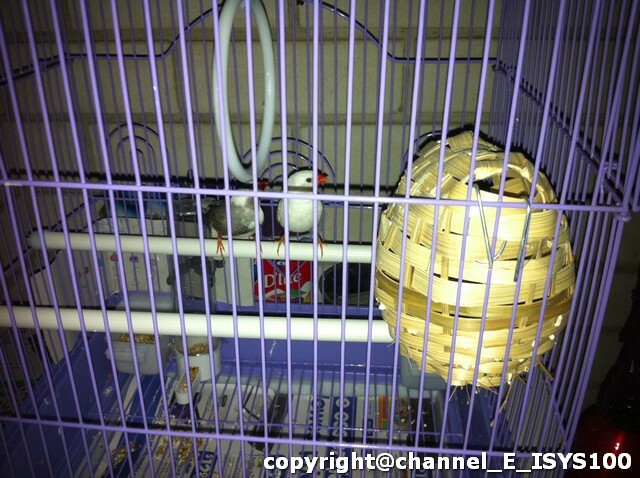 Both birdy are very shy and do not tend to close to human being. It was diffcult for me to take photos but i managed to do that eventually. 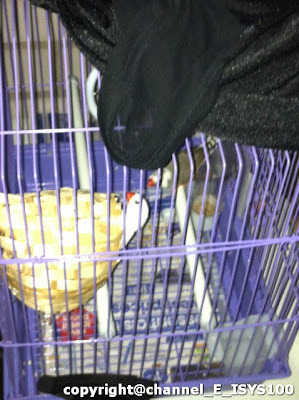 If you like Zebra finch like my sister, i highly recommended that you buy these from north paramatma or western sydey, because the price for Zebra finch are varies depending where the shop located. My sister bought for 10 bucks each from the shop located at north paramatma as our location shop(Hornsby) charges for $40-50 each.